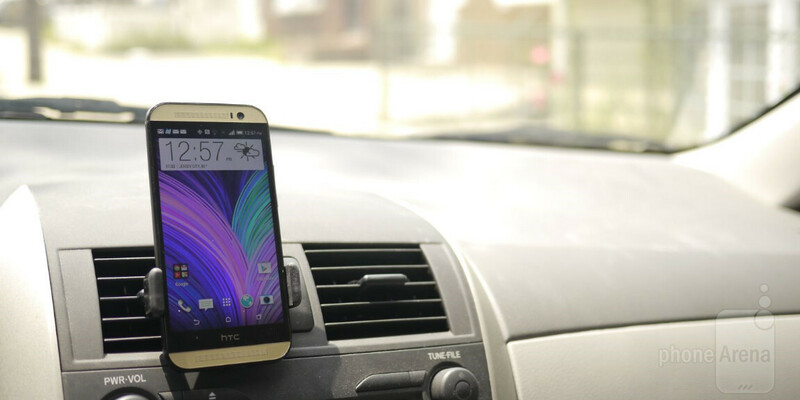 Car docks for our smartphones can sometimes be distracting, especially when they occupy that middle area of the dashboard or windshield. If you own one, then you know exactly what we’re talking about – just like those traditional GPS docks. Well, if you want to keep your windshield clean and free of obstruction, the Kenu Airframe+ portable car mount might be the companion that you’ve been waiting for. Unlike the usual docks that need to be suctioned to some sort of flat surface, whether it’s the windshield or dashboard, the Airframe+ is a minimalist looking dock that inconspicuously attaches to any air vent in your car’s cabin. Frankly, we’re digging the miniscule size and how it doesn’t occupy a whole lot of real estate – unlike those sometimes obstructively placed windshield mounted docks. Relying on a patent-pending design for its rotating clip, the Airframe+’s clip attaches perfectly to the air vent in our car. Now, if you have an unusual air vent design, there’s no need to be alarmed because it works with any vent type. From the traditional square shaped ones, to the circular, you won’t have to worry. Getting our device into place, we’re required to expand the spring loaded jaw to the appropriate mark to get them to snuggly fit in. Thankfully, the grip is fairly solid, but you’ll have to remember to finagle the position of the smartphone – so that the expandable grip doesn’t touch the power or volume buttons on the sides of the phone. For the most part, the Airframe+ doesn’t move too much when it’s in place. However, seeing that our smartphones can heat up tremendously when using them for navigation, it’s nice that it’s conveniently positioned in front of a vent – so that the air blowing from it can cool down the phone during the process. In addition, the Airframe+ can be turned into a portable stand by simply attaching a credit card, or an expired gift card, to the back so that it’s used to help prop it up. As the company loves to tout, the Airframe+ is simple, elegant, and hands-free. Obviously, we can agree to those claims, but best of all, we really love how it’s discrete – giving us a clear view of the windshield as we’re driving. It’s charming to say the least, but the Airframe+’s price point of $24.95 might seem a bit steep for something that doesn’t have as many attachments as a regular suction dock. However, it’s a cost we wouldn’t mind spending because our view from the driver’s seat isn’t obstructed. And that's important! No picture of it not installed? That's kind of odd imo. I checked it out on Amazon and on the official website. It is a lot of money for not very much product, but if it does it's job as well as the reviews suggest, it may well be the best purchase I've made in a while!